The zoological garden, which is located in Košice's borough of Kavečany, covers an area of 288 hectares. Construction work on the zoo was launched in 1979. The zoo was opened for the public in 1986, covering an area of seven hectares and featuring 23 animal species, mainly from the Carpathian nature. 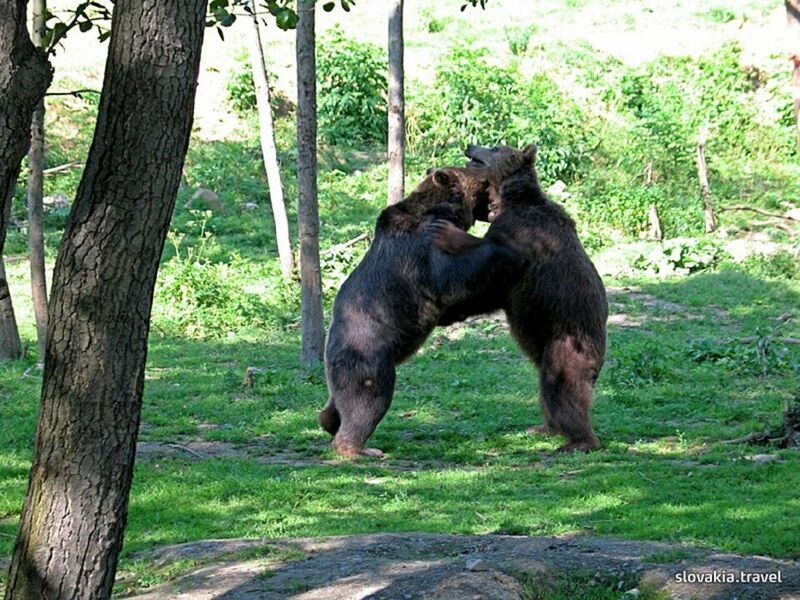 Currently the zoo is home to 142 species, and it also includes Slovakia's largest aviary (several eagles, who were bred in captivity, were taught to fly here) and the largest area for brown bears in Central Europe (a significant success was achieved in 2002, when bear quintuplets were born in the zoo, thereby earning the zoo an entry in the Guinness Book of World Records). As Slovakia's only zoo, it features a botanical instructive path. The ZOO is also successful in horse breeding, with Hutsul horses bred here having been included into the gene pool of Slovakia in 1996. Horses can be seen not only as exhibits but also at the hippodrome.